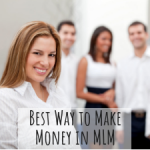 If you want to build your MLM business you need to generate leads. Whether you talk to people you know or use online methods, leads are the lifeline to your business. Learning how to generate leads is your most important skill. And, you may have already found this out: Surprise – you run out of people to talk to! Don’t worry, that happens to everyone who is wants to build an MLM business. Your next step is to learn how to get free leads online through one or more online marketing methods. If you are willing to learn, you can definitely do this. When I started my network marketing business, I ran out of people pretty fast! Since I was a busy person working full time, I didn’t have time to run around finding people to introduce to my business to. Does that sound familiar to you? 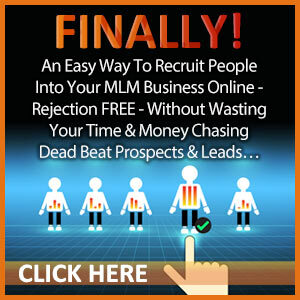 I turned to the Internet in search of a way to get leads and customers. And I did! 10,000 customers later and I continue to have a steady flow of new customers and leads each and every day. Are you still struggling to generate leads for your business? I’m about to share 7 ways that you can get qualified leads online. When people join a business, they are joining you. Some people will join you because you because of your leadership and the relationship they can build with you. They rarely care that much about the products first. Right, if that were true, then they would join anyone in the company – it wouldn’t matter. But you are what sets your business apart from all those other people in your company. Don’t be that person who posts all the same ads as everyone else. Be a leader and lead your team to success. Can you imagine a world where people came to you about your products and business opportunity? I can too and that is exactly how I run my business. You may have considered buying leads. Don’t do it! What a waste. Instead, find a good lead generation system that will teach you the skills you need to learn attraction marketing online. Sometimes these systems are referred to as funded proposals. If you had a system to solve that and you could learn how to get an endless stream of leads, how would your life change? Click here to find out more. Your leads are not just a number. They are real people that you should build relationships with . Share your skills and experience with them. The smallest act of kindness can go a long way. Give them a helping hand and be a good listener when they share their challenges with you. Building relationships is probably the most underutilized but more important skill you need! There are many leaders in your company as well as people who have the skills to generate leads online. Learn from them! You don’t have to rewrite history. Learn from those who have already had success. Leaders are always giving value and information about how to do stuff. Don’t be afraid to ask for help and advice. Start with our weekly free webinar. Every Wednesday at 9PM Eastern, a new marketing topic. Click here to register for this week’s FREE webinar. Create a lead magnet where people will give you their email address in exchange for something of value. That something can be a check list, tips or a tutorial that can be downloaded as a PDF. Use your imagination! 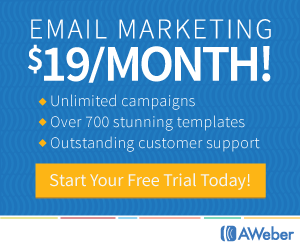 Once you generate leads in this way, you continue the relationship with email marketing. Nurture your email recipients with helpful emails on a regular basis. If you want to get leads right away, using paid advertising is the way to go. 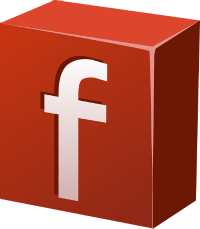 You can promote content on Facebook and even create video ads. These ads can drive traffic your capture page or website with a strong call to action. Grab this training about how to use pay per click ads like a pro. The best way to generate leads is to use more than one social network for marketing. Figure out which social networks resonate with you the best and use them. The key to generate leads online is to choose a strategy and be consistent with it no matter what. 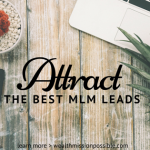 If you are looking to get leads to build your MLM business, I have a free training with proven strategies that you can do to get more leads for your business. 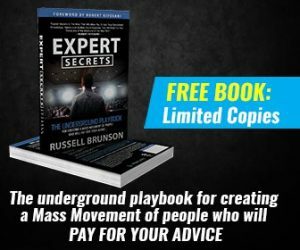 All you need to do is click here to enter your email, and I’ll give you access to the training right away! Work on yourself is my favorite…. there are so many great tips here Lisa..the bottom line we need to be getting leads to communicate to or our business will die. Thanks for sharing this. I have book marked this to share with others…. Thanks for another great post Lisa. Working on our personal development is a favourite and obviously generating the leads we need to build those all important relationships. I especially agree with number 1 and number 2. Everyone & mean everyone should learn how to brand themselves FIRST in order to succeed. In addition, having a lead generation system that supplies us with the necessary skills is equally important, because these learned skills will stay with us forever. 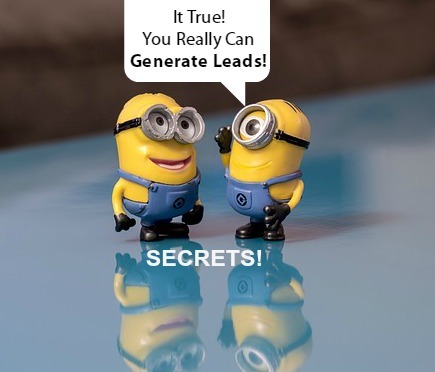 Love these tips on generating leads! I work on them daily 🙂 Except for he FB ads, FB has suspended my ad account lol So I utilize the other ways you mentioned more 🙂 Thanks for sharing your value!! Love these tips on how to generate leads for a home business! Thank you! Lisa, thank you for this post. I needed to be reminded of these tips in how to generating leads for my business. Self Development is KEY to success. I appreciate the value that you posted today.